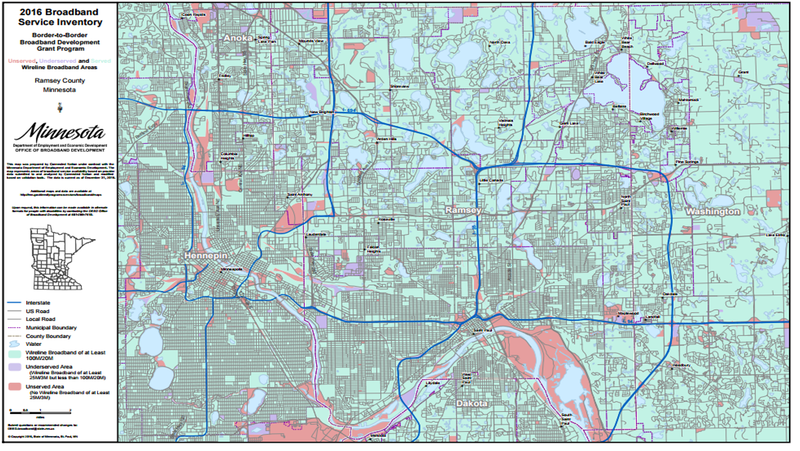 In 2014, 100 percent of Ramsey County had access to broadband. (Broadband was defined with lower speeds back then.) Today more than 99 percent of the county has access to broadband speeds of 25/3 (Mbps down/up) and 99 percent has access to the 2026 speed goals of 100/20. The city of St. Paul will pay Comcast more than $2 million to upgrade the data network connecting more than 100 public buildings to high-speed fiber optic cable. Since 1998, St. Paul has received network service for free from Comcast as part of a larger agreement that allowed the company to provide cable TV to its residents. But the network was too slow for transmitting surveillance video to the Police Department or providing decent Internet service to library patrons, said Tarek Tomes, the city’s chief information officer. “We’re paying zero for a service that really doesn’t meet anyone’s needs,” he said. Under the deal signed this week, the city also will pay Comcast more than $400,000 a year to provide network service over those connections. DDI score of 26.57 out of 100. 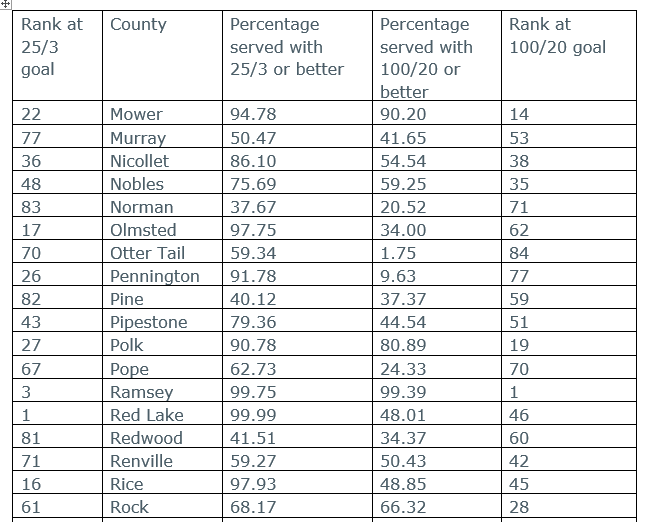 There is a matrix of Minnesota broadband adoption projects. I plan to profile each county in Minnesota – tracking broadband access, digital divide and annotated links to news of what’s happening with broadband in the county. I’m keeping it high level because there are 87 counties! This entry was posted in County Profiles 2017, MN by Ann Treacy. Bookmark the permalink.